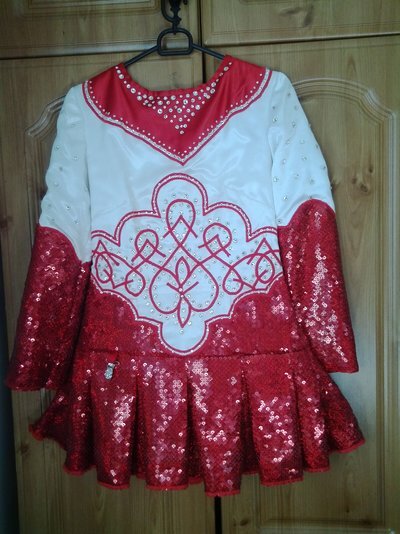 Beautiful red sequin and white dance dress, bodice is lovely white satin with emdroidery detail and diamantes, skirt is new style sequin and pleated. Comes with headband, tiara and kickpants. Measurements taken when dress was lying flat as dress no longer fits my daughter.